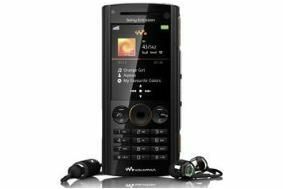 Sony Ericsson launches 'PlayNow plus' unlimited mobile music service | What Hi-Fi? Launching in Sweden later this year, and elsewhere in 2009, the service will allow you to browse, download and play 'unlimited' amounts of music wherever you are, directly to your mobile phone. Sony Ericsson claims the music will reach your phone in seconds, and you'll be able to choose from 1000 of the most recent popular songs preloaded, and millions more over your high-speed mobile network. A complimentary PC player is also available, allowing you to download and play 'as much music as you like' on your computer. Naturally, this comes at a price, something which the initial press release attempts to tuck away at the end. A monthly flat rate looks like being the deal, though how much you'll pay and what you'll get remains to be seen. Sony Ericsson does say that at the end of the subscription you will be able to keep 'a large number of your most played songs' for playing at your leisure. The Sony Ericsson W902 Walkman phone will be launched in tandem with the service, boasting an 8GB storage capacity, 5 megapixel camera and the company's 'Clear audio' experience.